Yoga and college have a few things in common. College is intended to harness our tremendous potential to change the world. It encourages us to focus on what we want to learn, to broaden our horizons, and cultivate new understandings. The point of college is to train us to engage with the world as people who know their purpose and have the power to fulfill it. In yoga, this purpose is called dharma and the point of yoga is actually the same as that of college when it comes to fulfilling your dharma: the practice gives you the tools to engage with the world with impact. Let’s explore some more reasons why yoga is awesome for college students! 1. Yoga’s a barometer for your life. For those non-science majors out there, a barometer measures atmospheric pressure. College students are under lots of pressure: we’re expected to pump out 10-page papers in just a few hours, get good grades, have a social life, and make new friends from scratch … all while learning to take care of ourselves – minds, bodies, and spirits – while on our own for the first time. Yoga is a perfect barometer for college students because how we show up on our mats is an indication of how we show up in life. To create your own yoga barometer, decide on how often you’d like to practice. Make sure that the amount of time you dedicate aids in your overall well being! Two yoga classes a week on campus? Three podcasts a week that you do in your dorm room? Do you get together with friends weekly for your own freestyle practice? A combination of the above? Whatever it is, this is your barometer. If you start slacking in your yoga practice, what’s going on off the mat? What is it that you are prioritizing over wellness? How can you bring the pressure back down? 2. Yoga makes you a better student. There are now loads of studies showing that yoga greatly improves concentration. Concentration is a leading contributor to success in school because our ability to concentrate is akin to the ability to make the most of our education. We have to concentrate in order to hold our balance in tree pose. We can take those skills of one-pointed focus off the mat as we learn to pay attention in the lecture hall. 3. You’ll learn how to sit. The purpose of yoga is to learn how to sit better. What?! You mean I’m flying from crow pose to plank pose just so I can sit later?! Well…yes, you are. The physical practice of yoga was curated by Indian monks who were meditating all day long. After years of meditating, these monks were having a hard time sitting still. It was uncomfortable. Their legs were falling asleep. Their backs hurt. They needed a practice that would stretch out their muscles so that when they were not using them, they wouldn’t be in pain. College students are a tad similar to these Indian monks in that we have to sit for long periods of time. Discomfort is a distraction (see #2). Practicing just a few yoga poses before holing up in the library for a long night of studying can make all the difference. If you’re not part of Greek life or a sports team, it can be hard in college to find with whom you click. Yoga classes (or even just practicing with peers) is an organized, embodied activity that has an inherently communal feel because, as we practice, we feed off each other’s energies, sharing the experience to make it stronger. Some schools even offer acro yoga as a for-credit course…and you can’t get more communal than balancing on each other’s feet! 5. Yoga can be a constant in a time of constant transition. We change housing every year. We move home, back to school, to other countries, back to school again. Preparatory for the “real world,” it’s a totally liminal time of life. Yoga can provide some order among the chaos. In showing up to the mat, we can feel at home in our bodies as we do not have to rely on external circumstances. We learn to cultivate that feeling for ourselves…anytime, anywhere, making even the most angst-ridden freshman appear like a confident senior. For more reasons why yoga is awesome for college students and ways to actually bring that awesomeness into your life, check out the new e-book, Yoga U: The College Student’s Tools for Balanced Living! 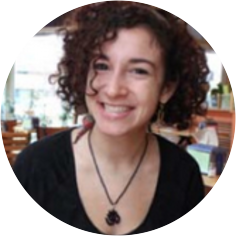 Shira Engel is a yoga teacher and student at Wesleyan University, where she is studying Feminist, Gender, and Sexuality Studies and English. She is also the creator of the tumblr Story of a College Yogi and the author of the e-book Yoga U: The College Student’s Tools for Balanced Living. She is the co-founder of WesBAM! Wesleyan Body and Mind wesbam.weebly.com, which seeks to make yoga accessible to college students. Shira seeks to create a college yoga movement that helps college students live integrated and holistic lives mind/body wellness in order to embrace and explore their full potential. Follow Shira on Twitter @ShiraEngel, Facebook Ffacebook.com/YogaUebook, and Tumblr storyofacollegeyogi.tumblr.com.